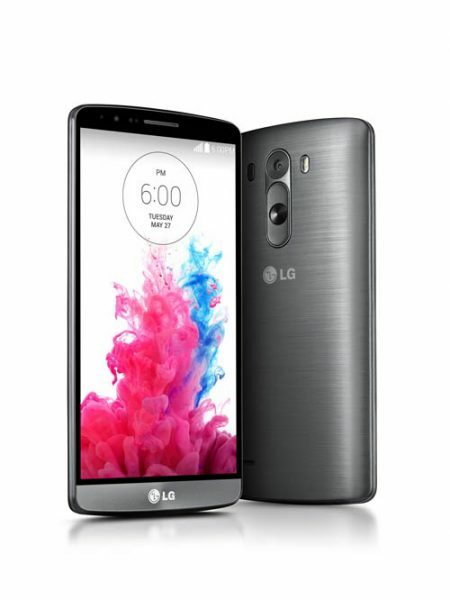 It was no secret that the LG G2 was the best Android phone I had tried when it first came out. While my views have been diluted and tilted thanks to the likes of Moto G and the many other phones I have tried, the LG G2 remains, or remained a firm favourite. Until today, where LG have announced the G3, and promised to do one better on the LG G2! The G3 follows the same back button design as the LG G2, and while the idea was revolutionary, perhaps the uptake from rest of the industry hasn’t been as optimistic as LG may have thought. Regardless, it may become the LG image, and who cares. It works, even if it takes a little getting used to. The G3 features the same design, however, the case is now made of plastic that looks like brushed finish metal. Looks, are definitely the current flavour, and the almost no bezel screen is another thing that clearly shines. It isn’t all looks though. LG want to make things simpler, and promise to bring an extremely ambitious yet simple, intuitive User Experience to the market. Apart from the 5.5″ QHD display (oh yes, 538ppi!) and the 13MP OIS camera, it features a special laser auto focus which means you can focus a lot quicker than conventional cameras, and with extreme precision. More so, focusing in the dark is no problem at all. Focusing on the UX is what makes LG’s phones smarter and better, and that was my experience with the last model, the G2. The G3 promises to enhances that, and this comes with features such as the Smart Keyboard, which seems to take a leaf out of SwiftKey, Smart Notice which keeps a subtle eye on your phone, and suggests things to be deleted or removed (ahem, Samsung?) if you haven’t used them in a while, and other features. Of course, the highlight will definitely be the Laser Auto Focus, and see how well the camera responds in dark situations as well as taking photos of sports events. Another interesting feature is the selfie mode, which lets you clinch your fist to enable a three second timer to take a photo. Ah! I am surprised we don’t have the ‘selfie phone’ available yet, but hey, who knows, some manufacturer may read this and take inspiration. The phone is available from tomorrow in Seoul, and will be available in 170 countries including UK soon. We already have confirmation from a few carriers in the UK, so keep your eyes peeled. Next story [CLOSED] Giveaway: Hexnub’s Sphero Covers!